Hi Loves! Happy hump day! 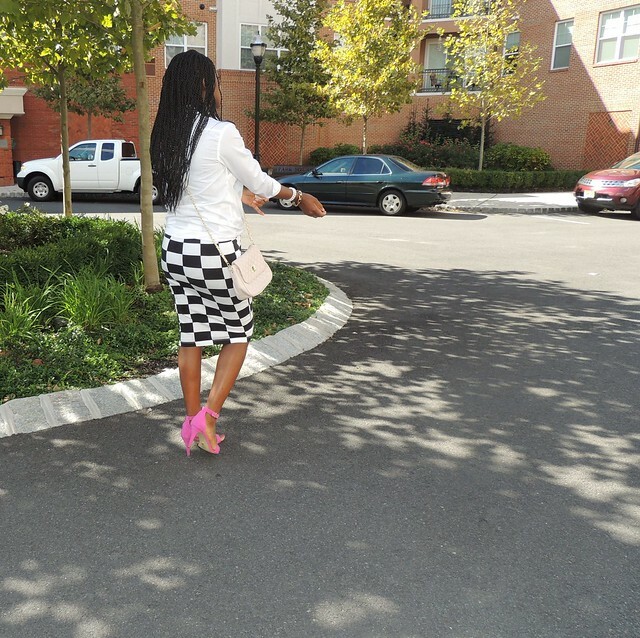 Today, I'm featuring one of the ways I restyled my checkered skirt. I decided to style it in a different fashion than I did the first time here. 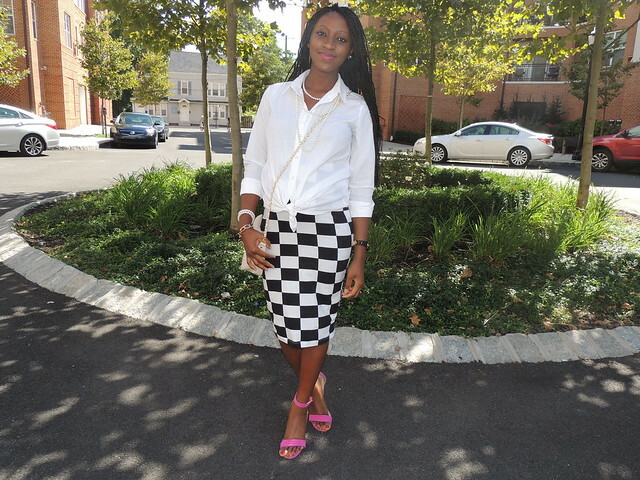 Going for a more relaxed and fun look, I paired it with a basic white button down-up shirt, tying a knot at the end for a care free feel. 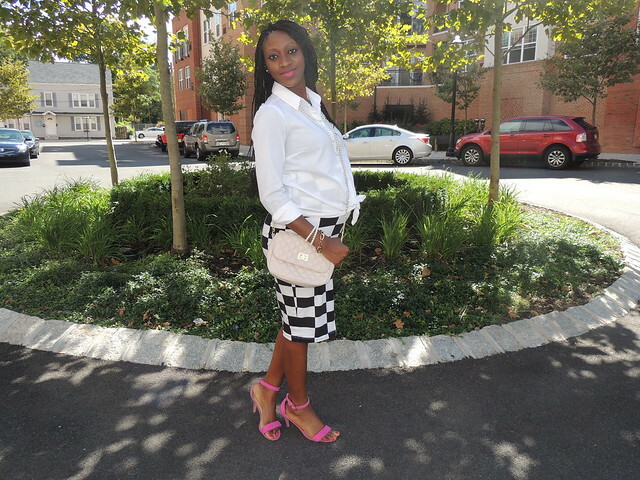 Added a pair of pink sandals to add a pop of color to the outfit. Like I've mentioned before stretchy skirts like this is a must in a maternity wardrobe as they can be worn through out the entire pregnancy.